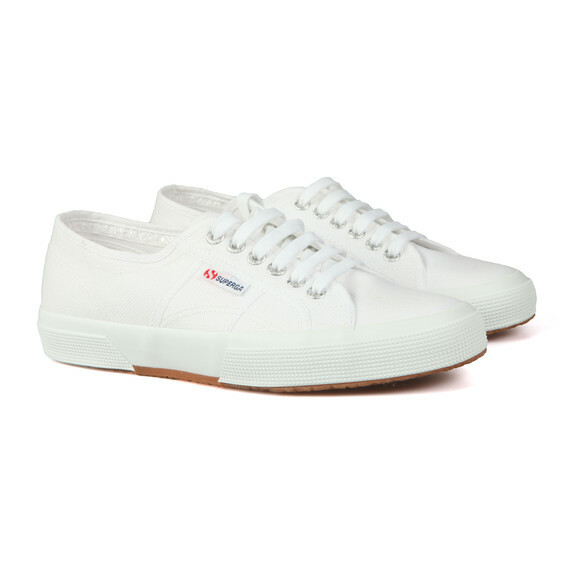 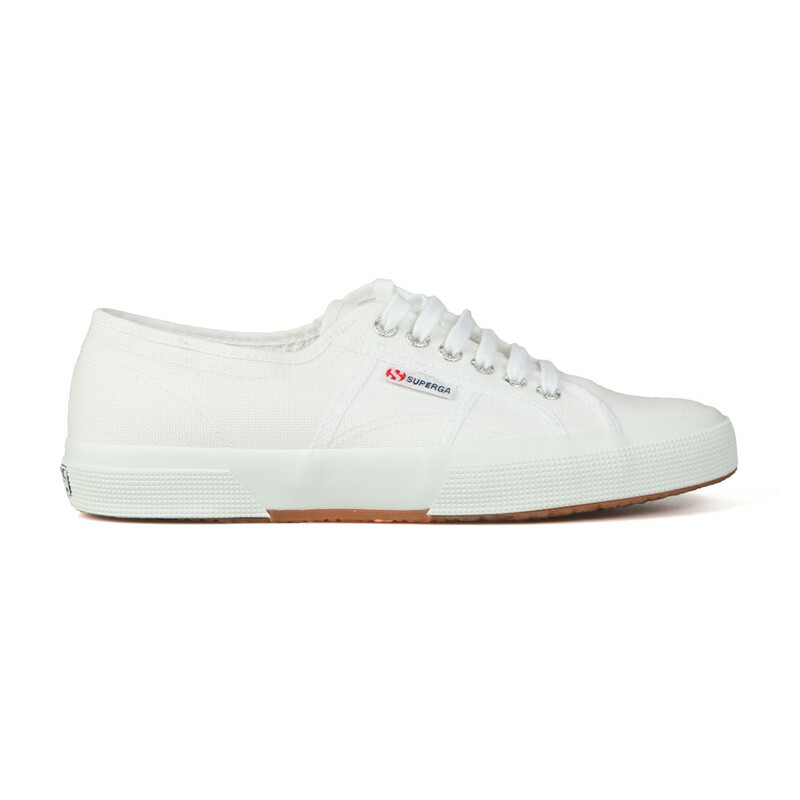 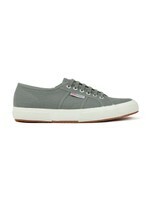 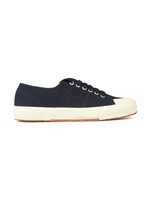 Superga 2750 Cotu Canvas Trainer in White. 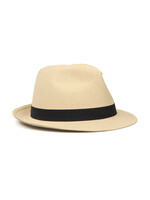 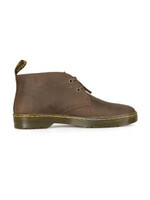 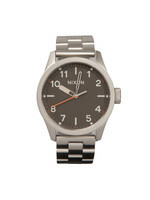 A simple canvas trainer with lace-up closure and side branded tab. 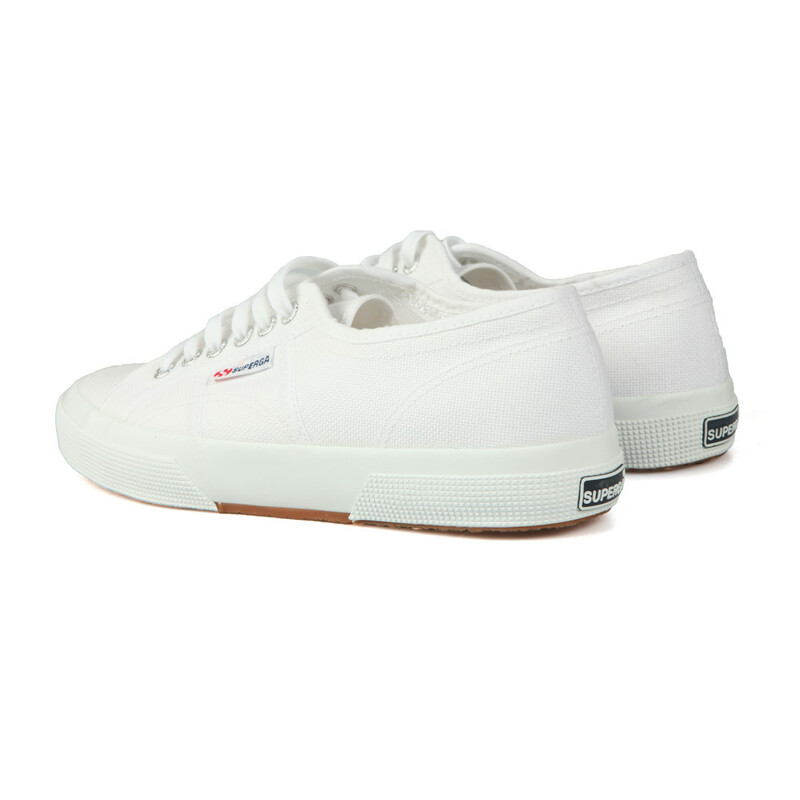 Superga branding can also be on the heel.